If you want to make any changes to your source file(s), you must first check-out the file(s) from the Source Revision Control database. 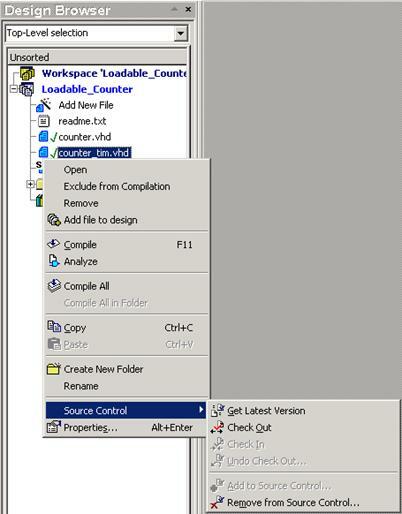 When you Check-out a file, the Source Revision Control system places a “writeable” copy in your working folder. The source file that is checked-out may not be checked out by anyone else (unless the preferences of your Source Revision Control system have been changed to allow multiple checkout operations). 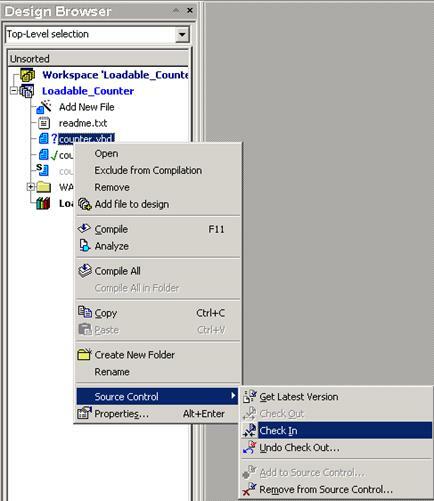 You can check out a single file, a set of files, or all sources in a project depending on their status in a database. 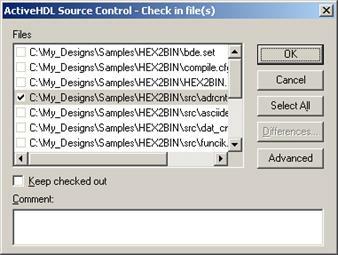 You can update your file and store your changes in the current Source Revision Control database project. 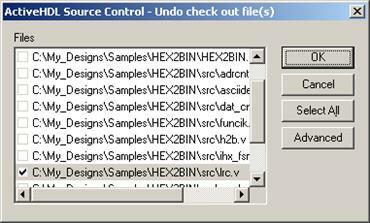 You can undo the Check-Out operation and cancel your changes both in the Source Revision Control database project and in your design working folder. The sources return to the state they were before you checked them out. • Select the source(s) you want to Check-out from the Source Revision Control database. • Invoke the Check Out command from the Source Control sub- menu. • Select the source(s) you want to Check-in from the Source Revision Control database. 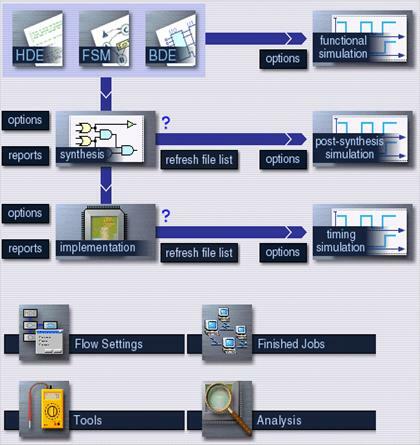 • It allows designers to put in the queue their simulation, synthesis, and implementation tasks. 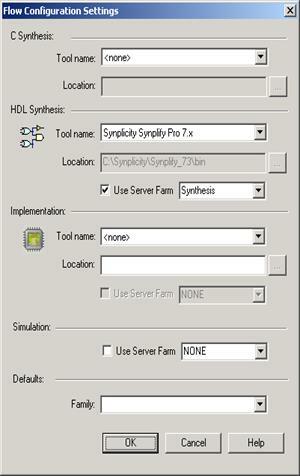 • Selecting this checkbox, you will be able to run the synthesis process on a server-farm computer. • The list box next to the Use Server Farm checkbox allows you to choose the location (Farm Controller) where your design sources will be sent to process. • The Farm Controller is also a computer where the results of synthesis are stored until you download them to your computer.